and wardens on walks across. Southcoates East to check out problem areas. These have been praised as best practice at a national level. prior to the PRNDC’s arrival. 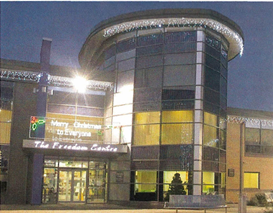 December: There was a Christmas ‘ welcome to the Freedom Centre, with a festive market and other entertainments.